Canada must overhaul its refugee claim system or create a new agency that reports to the immigration minister in order to streamline and expedite the asylum process, an independent review has concluded. The 147-page report makes 64 recommendations — among them calls for a more aggressive approach and increased resources to tackle the backlog of refugee cases over two years. Neil Yeates, a retired long-time senior civil servant in the federal and Saskatchewan provincial governments, led the government-commissioned review. He said Canada’s refugee determination system is now at a crossroads. “Once again, it is dealing with a surge in claims that it is ill-equipped to manage, running the risk of creating a large backlog that, if not tackled promptly, may take years to bring to final resolution,” he wrote in his report. Under the current system, various federal departments and agencies have a role in refugee intake, adjudication, removal or permanent residence approval, and the appeals process, but the Immigration and Refugee Board operates as an arm’s-length body making independent decisions. The report recommends either maintaining that structure under an Asylum System Management Board, or shaking it up with major structural reforms under an integrated Refugee Protection Agency that reports directly to the immigration minister. The Canadian Council for Refugees said it’s “alarmed” by the proposals, arguing they could undermine the independence of the IRB. It called on the government to maintain the IRB as an independent quasi-judicial tribunal responsible for refugee determination. The CCR said the current system — created in the wake of a 1985 Supreme Court decision that found refugee claimants are entitled to charter rights and a fair hearing — is a regarded as a model around the world. The CCR said any changes must be in line with the principles of fairness, respect for due process and compassion. “The complex and painful realities of refugees cannot be adequately addressed through a process that focuses on systems and efficiencies,” the organization said in a release. A spokesman for Immigration Minister Ahmed Hussen said the government is committed to upholding Canada’s “proud humanitarian tradition” of providing protection to those fleeing persecution while ensuring the asylum system is not abused. “The findings in the final report will inform our review of Canada’s asylum system as we determine how best to maximize efficiency while ensuring that the system remains fair and continues to be in line with international standards,” said Mathieu Genest in an email. In his report, Yeates noted the growing trend of people using the asylum process instead of regular immigration channels. 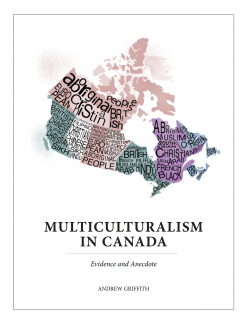 “With the advent of human capital immigration models that place a high emphasis on education, language and skilled labour, asylum systems in countries like Canada risk becoming avenues of last resort for lower skilled economic migrants, who generally do not have access to other pathways to permanent residence,” the report reads. Current approval rates for protection are about 65 per cent, so there are “ever present concerns” that the asylum system can be vulnerable to misuse, Yeates warned. “When there are lengthy waiting times for an initial protection hearing there are further concerns that the asylum system may be abused to prolong temporary stays in Canada for healthcare, work permits, public schooling, direct access to Canadian citizenship for children born while in Canada and other benefits, all of which make future removal from Canada of many unsuccessful claimants difficult,” the report reads. A series of reforms in 2012 aimed to expedite the claims process, but the system is still strained by spikes in asylum claims and resources stretched thin. IRB spokeswoman Anna Pape said claims intake has been exceeding operational capacity by an average of 2,300 cases per month for the last year, creating a growing backlog. As of May 31, 2018, there were about 57,235 pending cases. She said the IRB has taken steps to improve efficiency, and the number refugee claims finalized increased by about 40 per cent in 2017-18 compared to the previous year. The IRB is currently funded to finalize approximately 24,000 claims per year. “The IRB continues to explore new and innovative ways to improve efficiency, with the objective of improving the timeliness of decisions,” Pape said. Given the current caseload and existing resources, the projected wait time for claims for refugee protection before the IRB has increased to approximately 20 months. The report recommends stronger financial controls and tracking of overall system spending rather than incremental funding. It estimates that, following the reforms, the federal government has spent an average of $216 million a year on processing claims, social supports such as health care and legal costs. That figure does not include costs for the Federal Court and downstream provincial costs. Ottawa establish a rapid-response contingency workforce to handle increased claim volumes.